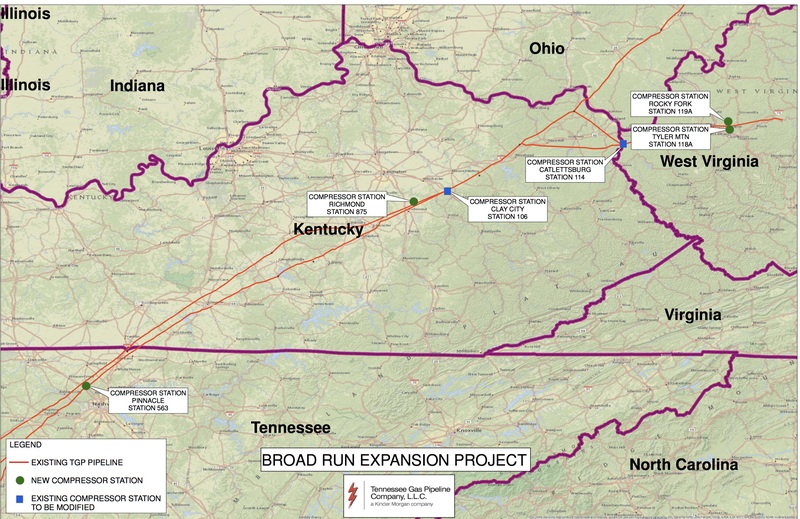 FERC has approved Kinder Morgan’s request to use a portion of existing pipeline right-of-way near the new Compressor Station CS 563 site as additional temporary workspace to provide access to the tie-in valve site associated with CS 563 in Davidson County, Tennessee, as part of the Broad Run Expansion Project. According to FERC’s Kareem M. Monib, the company has obtained clearances from the U.S. Fish and Wildlife Service under Section 7 of the Endangered Species Act and from the Tennessee State Historic Preservation Office under Section 106 of the National Historic Preservation Act for use of the additional workspace.